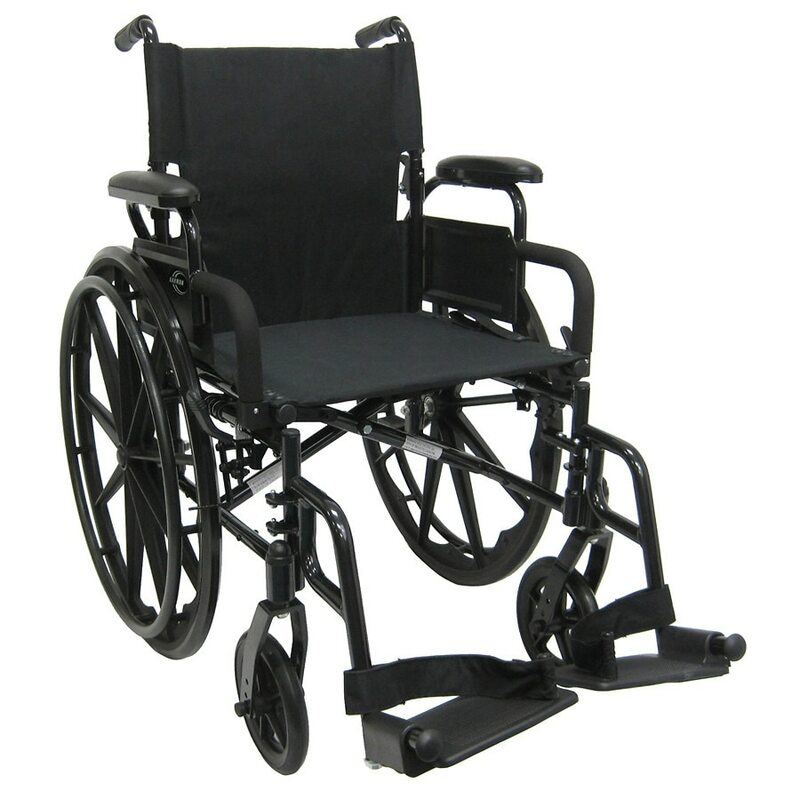 This Karman 802-DY Lightweight Wheelchair is folding high strength aluminum frame with a black powder coat finish. It features comfortable padded flip-back, desk length armrests with plastic side panels. Swing-away detachable footrests with heel strap and adjustable length anti-slip footplates.